Nearly 70% of people who make New Year’s resolutions resolve to get healthier. The making of resolutions seems to get just as much hype as the percentage of people who fall off the wagon. With the rise in wellness brands and health consciousness, it is easier to find healthy lifestyle options that fit our goals and interests. 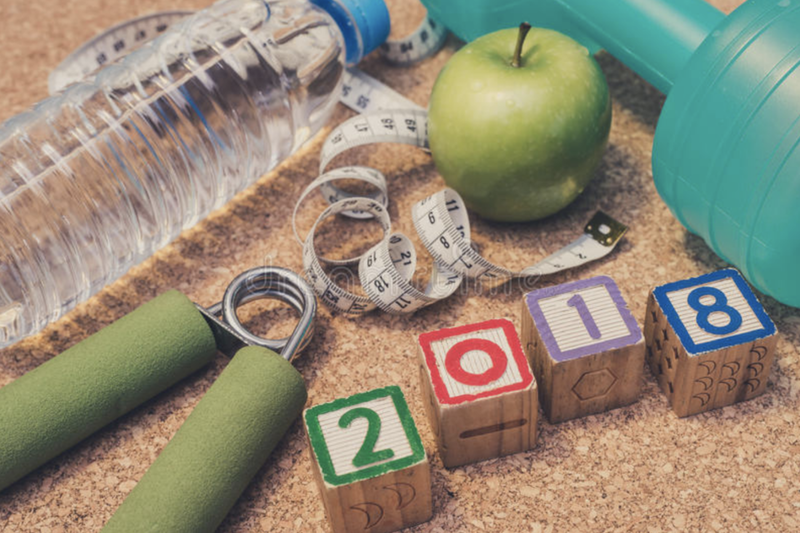 Follow these three easy tips to choose an option that is best for you, and make getting healthy a resolution you will definitely keep. Tip #1: Choose activities and foods that you enjoy, and that fit your lifestyle. Love a mix of cardio and strength-training and can devote a full hour to your workouts? Orange Theory might be your new addiction. Want to feel like you’re cycling in a nightclub? Indoor cycling – like at SoulCycle – may be your soul mate workout. Check out times that classes are offered to make sure you will actually get there. If you have never woken up before 6 AM in your life, chances are a 5 AM CrossFit class is not the way to go. The same goes with food. The number one reason diets fail is because cravings take over, so choose a way of eating that either still incorporates some of your favorite foods – like IIFYM – or offers plenty of options to recreate those meals with new ingredients – such as Ketogenic. Look at your work and personal schedules: you may be a meal prepping All-Star, or someone who needs to order from a meal delivery service. Yes, you are making changes to your current activities and way of eating, but the more aligned they are with your interests, the more likely you will be to stick to them! Tip #2: Set realistic goals. Let’s first address the goal of “losing weight”. This is a statement that we need to avoid using, because “losing weight” could also mean losing muscle. which we do not want. Those of use who want to lose weight must understand that the goal is to lose body fat, and preserve or gain lean muscle mass. How about we take fat loss off the table completely and set more fun, realistic goals? Water is one of the key ingredients to improving your health, and most of us do not drink enough of it. Make a goal to drink a gallon of water per day, and each time you achieve the goal, celebrate the win! Create a little 30-day gallon challenge, and at the end of those 30 days do something nice for yourself – new workout gear, new water bottle, etc. Last point on the topic of realistic goals: the rate at which we lose body fat and gain muscle is a completely individual experience. Take your eyes off of the infomercials on TV and #TransformationTuesday pictures we see on social and turn your vision inward. Your body loves you, and works hard to keep you alive. Honor where you are, and feel awesome about where you are going and the pace in which you are getting there! Tip #3: Change your mindset from lack to abundance. A diet can feel isolating, like when you’re out with friends and the menu is filled with everything you “can’t have”. Is there truly anything you “can’t have”? Absolutely not, and you may choose to indulge a bit in something that is outside of your plan. If and when that does happen (and it will, because you are living life), be kind to yourself and realize that the sky is not falling, you have not “failed”, and that you’ll go right back to living your healthy lifestyle tomorrow. FYI: many restaurants are happy to accommodate your dietary needs – just ask! Change your mindset from “dieting” to adopting a “lifestyle”. The word “diet” literally contains “die” in it. Diets can make you feel like you are dying from hunger, deprivation, and the like. If a workout is something you “have” to do instead of want to do, how often will you make it a priority? Instead of believing that you are on a crash diet and crazy workout plan to lose weight, keep telling yourself that you have chosen to thrive in 2018 with a healthy lifestyle. There is an abundance of healthy lifestyle choices, from boutique fitness studios and eating programs, to whole food meal delivery services and travel. Choose the style of eating and exercising that best fits your goals and interests, be realistic in your goal-setting (and award yourself for the victories), and adopt the mindset that you are choosing a new lifestyle because you love and honor your body. This is going to be your best year yet! Kate Jaramillo is a certified Spinning Instructor and a Ketogenic living expert. Kate has been leading the way in the Ketogenic community for quite some time as the Creator of Ketogenic Living 101, Ketogenic Living 102, the Ketogenic Living Coach Certification, and co-creator of the Keto40. She currently resides in Miami, FL with her husband, three daughters, and fur children. Connect with Kate on Instagram.